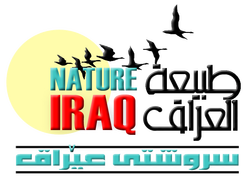 Nature Iraq's current Sustainable Development work is focused on developing ecotourism programs that develop and model strategies for environmental education, economic development, land and resource management, and scientific research with a particular focus on the connections between them. Our programs are centered on the proposed Mesopotamian Marshlands National Park (MMNP) and other important Key Biodiversity Area Sites and natural areas throughout Iraq. Such projects will bring much needed economic growth to rural areas, and are based on concepts that emphasis sustainable development and preservation of environmental, cultural and rural values.